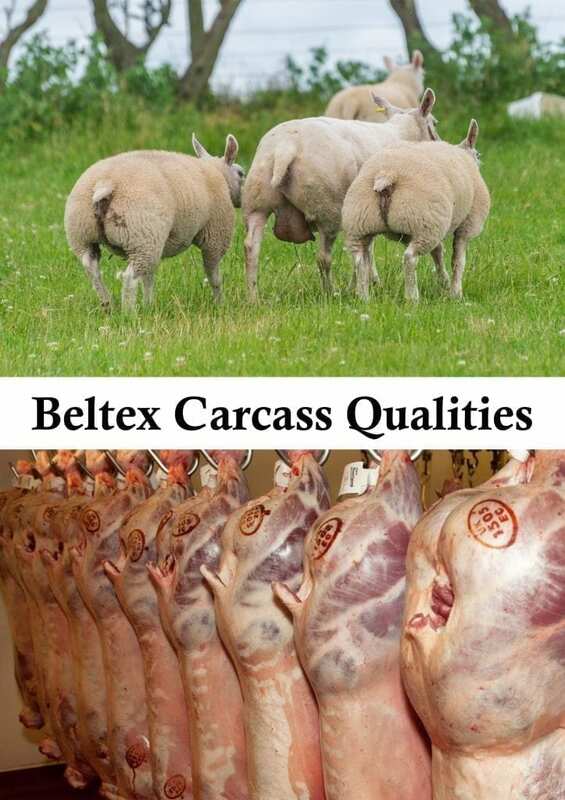 carcass with excellent conformation, good eye muscle with a well fleshed loin. 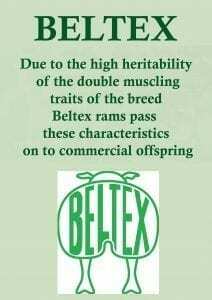 The ultimate success of any terminal sire breed is the quality and demand of the cross bred lambs in the commercial primestock market. 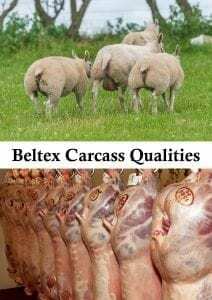 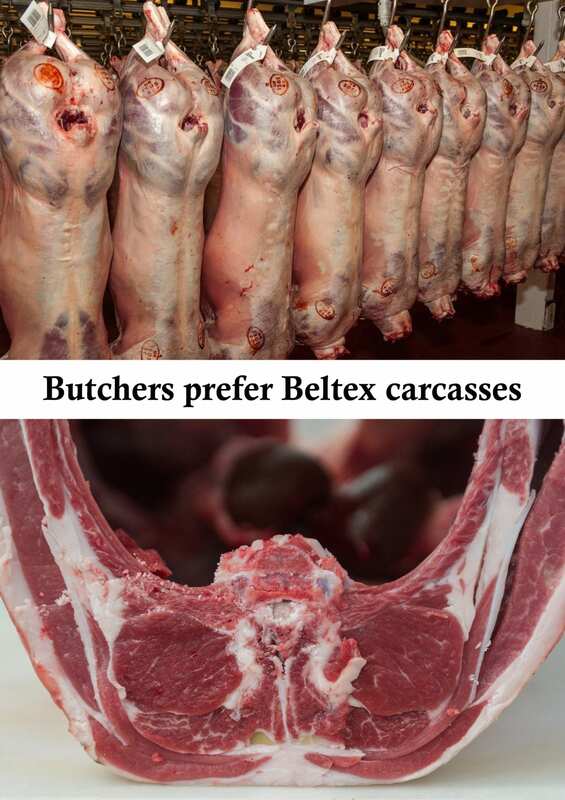 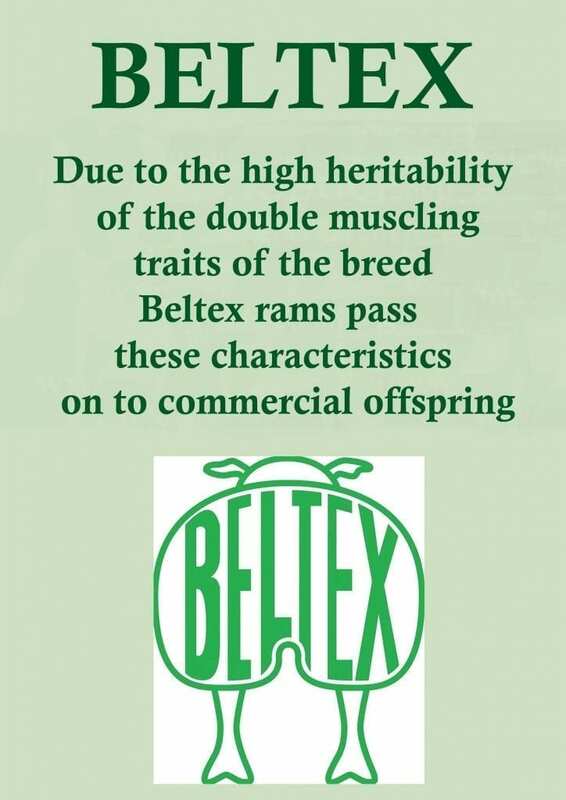 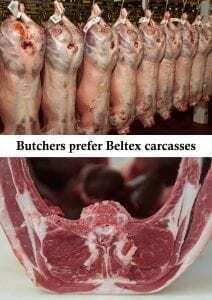 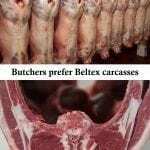 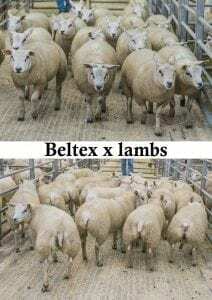 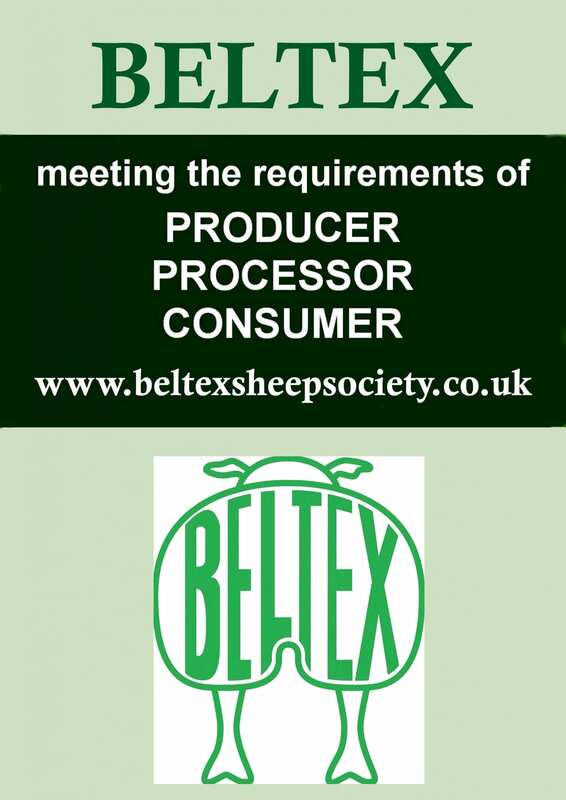 The Beltex has become a popular choice of terminal sire, there is strong demand for not only the premium Beltex cross lambs from Continental Ewes, but also from Mule and Half-bred ewes which has significantly increased as exporters, wholesalers and retail butchers compete strongly for the premium grade carcassess. 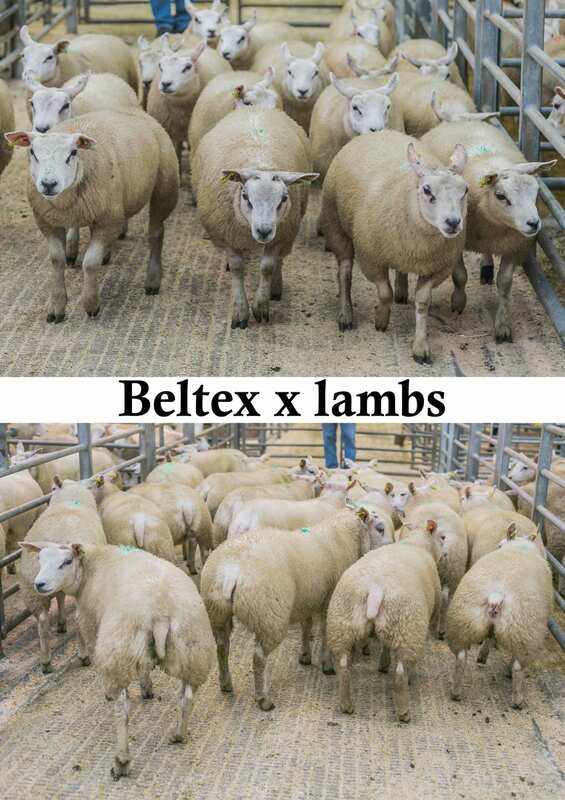 Processors supplying supermarkets are also keen to purchase commercially bred Beltex sired lambs due to the breeds ability to considerably improve conformation when crossed with both lowland and hill type commercial ewes. 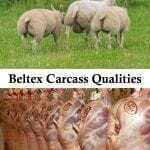 Beltex lambs always catch the eye of buyers looking for lambs with shape which will yield a high percentage of meat from the carcases. 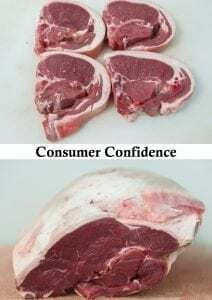 Competition to buy in the live auction regularly produces premiums from 30p – 50p per kg (£12 to £20 per lamb) over the market and country averages on the day. 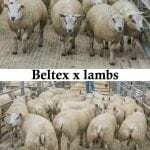 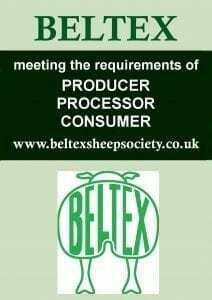 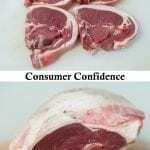 who want to produce Beltex x lambs to achieve substantial premiums both for export and home market lamb.